As Americans, we pride ourselves on our wealth and our power of choice. Fewer choices? Nonsense! Go to the grocery store and you can choose between 25 different bottles of ketchup. Turn on the TV and you can choose between hundreds of shows. Go to church and you can have a different worship experience each week. Decide to buy a house or a car and you have not only dozens upon dozens of options, but each of those options has options, and some of those options have options. There’s always a new decision to make. The honest-to-God truth is I love having choices. There’s nothing more frustrating than having no choices at all (you hear me CHARTER?! ), to want to do something, or create something, and have no viable way to get what you want done. But with Opportunity Comes Weariness. Rumor has it that Steve Jobs wore his signature black turtleneck, blue jeans, and New Balance sneakers everyday to avoid decision fatigue. Barack Obama and Mark Zuckerberg often repeat their outfits everyday for the same reason. Decision Fatigue is the 21st century conundrum, the overwhelming feeling of weariness that comes from making too many decisions. Steve, Mark and the President all wanted to avoid unnecessary decisions so they could focus on what really mattered to them. Living in an RV has begun to teach me about the awesome power of fewer choices. I never realized how busy I had made myself, how exhaustion had set in, from having way too many choices about way too many things. In an RV, Life is Simpler. Want a snack? We have about three different types on hand. Want to watch TV? Sorry, there’s no signal here. Want to choose today’s outfit? Well, given the temperature and the fact that your closet holds about 30 garments, go for it. See you in 30 seconds. And you know what? It’s bliss. Right before we left home on our journey across America, we had so much to do. Sell items on eBay. Post items on Facebook Marketplace. Paint surfaces. Pack boxes. It was easy to wake up in the morning and not know what to do first. Now we don’t have to. RV life is pretty straight-forward. Wake, eat, read and think. Go for a run. Write for clients. Write for yourself. Then go have fun as a family and reward yourself with a simple dinner and a good night’s sleep. That’s not to say it couldn’t get much more complicated fast. Of course it could. There’s a world to see and personal commitments that can build up fast. But there’s something to be said for the lack of opportunities. Fewer Choices are Good for Our Kids, too. 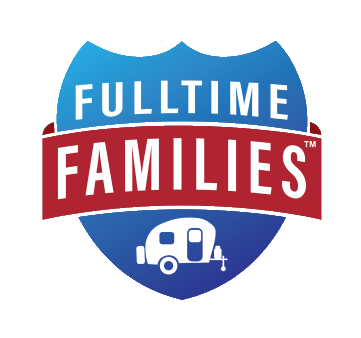 Before getting in the RV, we struggled as individuals and as parents with limiting the vices in our lives. We set boundaries for video games and Netflix and shopping, but with so many entertainment choices, those boundaries were constantly pushed by ourselves and our kids. We tried so many systems. Discipline books and cards and daily to-do lists and permission lists. None of them stuck. Maybe we’re just not disciplined. But you know what does work? Cancel the Netflix subscription. At first, that’s a horrifying thought. But then again, no one ever lay on their death bed and said they wished they’d had more time to watch TV. Get rid of the iPads and the XBox. At first the children are screaming for justice. But soon, something remarkable happens: They forget about it. They start to play with toys and interactive board games again, to make toys out of sticks and climb trees again. You hear their voices and see them during the day instead of wondering why they’re hiding away in their rooms with their faces in a screen. You know what works when you want simplicity? Cancel the Netflix subscription. Decisions like these aren’t easy decisions to make–not for our kids, and not for ourselves–but they’re the right decisions to make. Our goal isn’t to make our children happy every waking moment. It’s to introduce them to life and let them find contentment and purpose within it for themselves. I love having choices. But having fewer choices slows life down. It makes it manageable. So I want choice, but I just want less of it.